Escape from the everyday and pamper yourself. 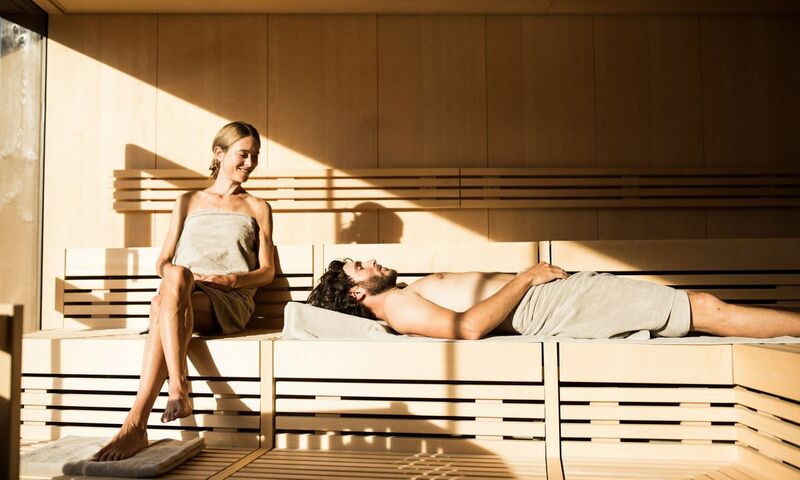 Feel the calm come over your mind and body, discover an all-encompassing sense of well-being, and enhance your sleep with the healing elements of our saunas at pleasant temperatures. 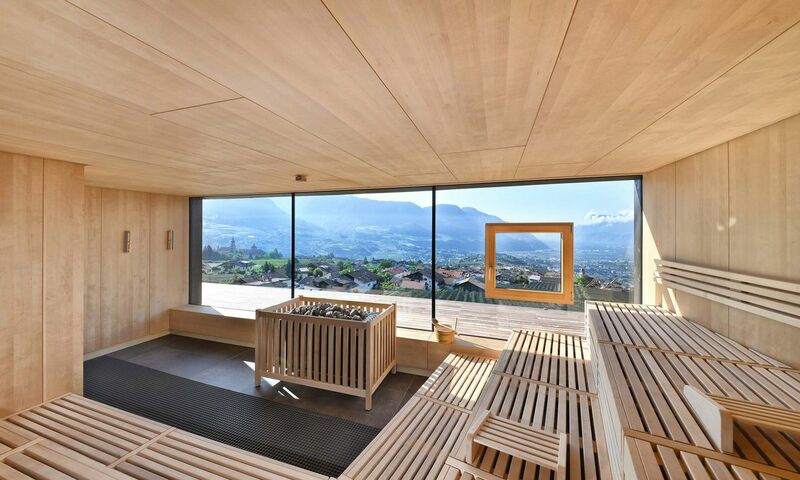 A sauna not only gently stimulates blood flow; it also opens the pores and clears your skin. Our beauty treatments are especially effective after visiting one of our saunas. 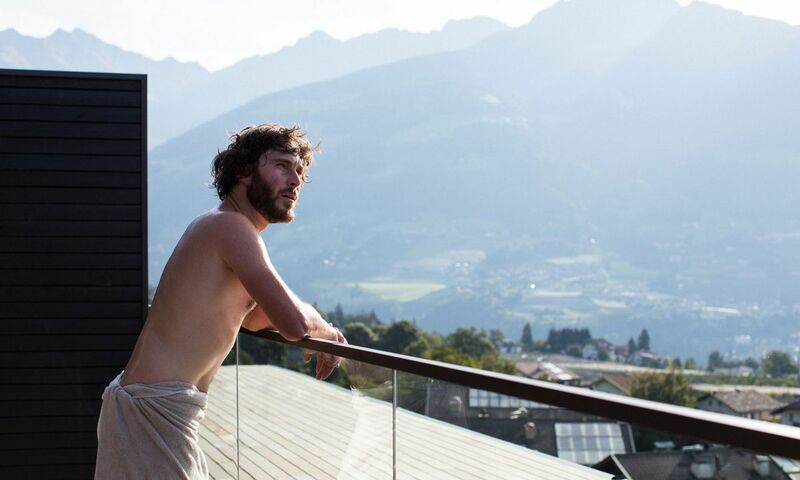 All in all: a sauna is a fantastic way to improve your overall health and well-being. Enjoy the experience with your friends, family, or your significant other. 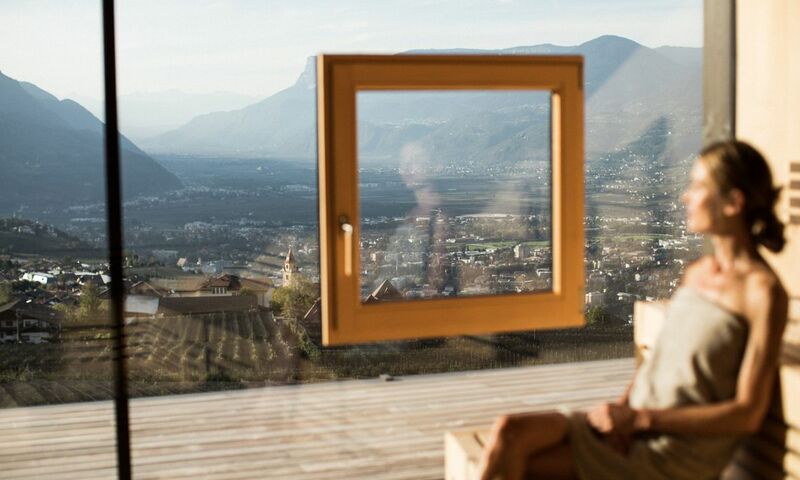 Our spa hotel in South Tyrol offers an 85-degree Finnish sauna with boundless panoramic views of your surroundings, a soothing 60 degrees warm bio-sauna, and a 45-degree Turkish steam bath. For a more targeted heat therapy, we recommend our infrared sauna. 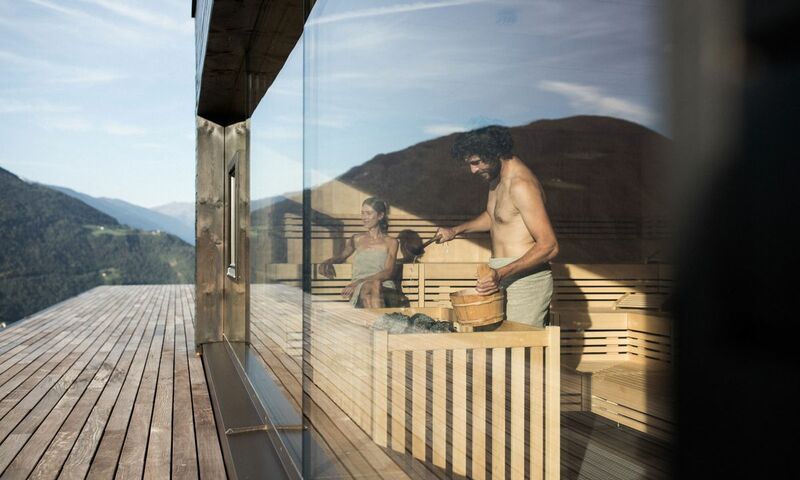 Lovebirds also have the opportunity to dive into the sauna experience in privacy. It’s the perfect way to experience togetherness, whether in celebration of a special occasion or because you both deserve a relaxing escape. Ask at our reception to book two hours of undisturbed togetherness in our immaculate wellness ambience. Did someone mention beauty treatments? Yes, we did. Because at Hotel Patrizia, our expert practitioners welcome you with a variety of treatments, including massage, skin care, body therapies, and beauty rituals. Experience the instant effect that the best natural products tailored to your specific needs can deliver.